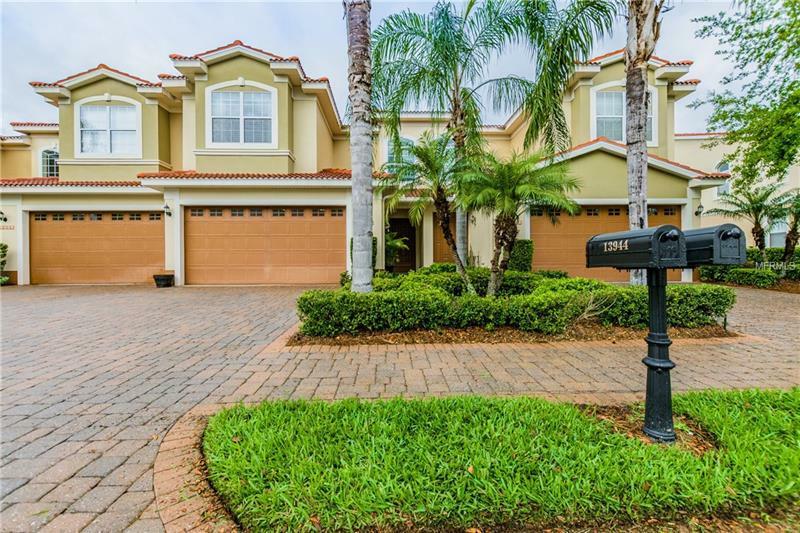 Located in Carrollwood Country Club with gorgeous golf course views this townhome is stunning. The new hardwood floors flow seamlessly from room to room. The new covered porch area with terra cotta Mexican tile beckons you to come outside and enjoy the spectacular views. It is so spacious and comfortable it feels like another living room. The hardwood continues upstairs in all of the 3 upstairs bedrooms and hallway. The master is light and bright and has enough space for a sitting room, again with golf course views. All of the closets upstairs have been updated and reorganized. The kitchen has stainless steel appliances, granite counters, and wood cabinets. The layout and flow are of this unit is fantastic. There is a space for an elevator and the new security system is an added addition. Carrollwood Country Club is steps away with a great restaurant and a Sunday Brunch that is absolutely amazing. The community also offers tennis, swimming, exercise room, social events for all ages and July 4th in Carrollwood is spectacular. Maintenance free, golf course views, a fabulous townhome you can have it all just make it yours today.